The importance of test automation and its best practices have been embraced by many organizations. The benefits of automation such as efficient testing, reusability, upgradability cannot be fully reaped until the organizations are able to see the end-to-end coverage of the entire project and its status. 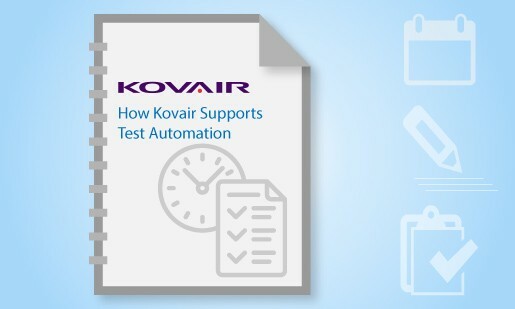 Kovair provides the ability to view an end-to-end coverage of the test automation benefits through its reports and traceability offerings so that you can ensure bug-free delivery to your customers.